Winter/Spring 2018 Fully Booked! Currently taking bookings for Autumn 2019 Click here to get in touch. Fine out about Jellyfish here! Check out the latest nature slot on Highland radio here. We talk about bats, swifts and jellyfish! From children to adults, people all across the North West are taking part in walks, workshops and guided tours of the everyday nature that surrounds them. NatureNorthWest are delighted to be linked with Irelands Discover Primary Science and Maths programme. NatureNorthWest are delighted to be linked with the Sustainable Energy Agency Ireland through facilitating for their One Good Idea Competition. 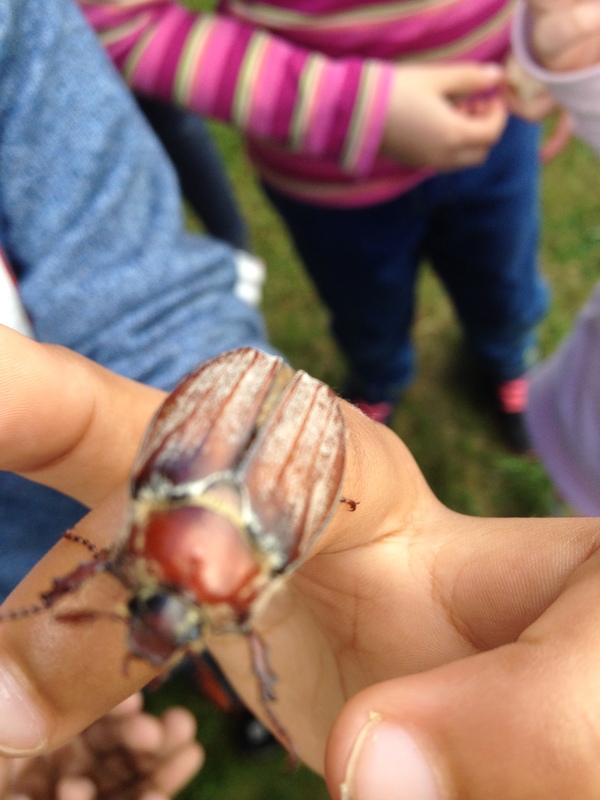 Chafer bug found by school children in Rathmullan while they were eating lunch!